In a medium bowl, mix together graham cracker crumbs, melted butter, and sugar until well combined and clumps when squeezed together. Press onto bottom and up the sides of a 9-inch pie plate. Boil water. Add Jell-O and stir until dissolved. Let cool slightly. Place fruit and yogurt in blender or food processor. Blend until fruit is completely puréed or stop when fruit is still in small chunks. In a large bowl, mix together whipped topping and slightly cooled gelatin. Stir in fruit-yogurt mixture. Pour mixture into baked and cooled graham cracker crust or purchased crust. Chill overnight or freeze for two hours to make cutting easier. If desired, right before serving so sliced fruit won't turn brown, garnish the top of the pie with slices of fruit or whole berries and a dollop of whipped topping. This easy no-bake dessert looks like you slaved all day. Put a different spin on this recipe by varying the Jell-O flavor, yogurt, and fruit. You also can make this low-fat and no-added-sugar by choosing ingredients with those designations. 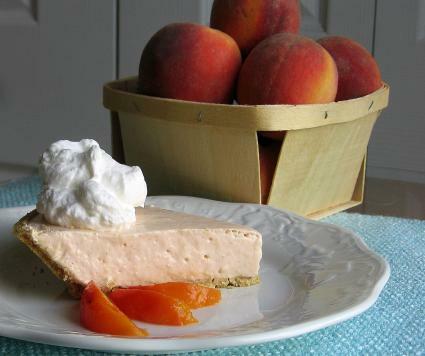 Another option is to freeze the pie and serve it as frozen yogurt pie.